A lot of things have been much harder now that I'm in the second year without Mark. I'm not even sure how to put it into words. It's kind of like I'm self destructing. I'm not getting enough sleep. I'm having horrible dreams. I'm not really eating very good. I've got a million things I feel like I need and want to do, but I'm only doing the absolute necessities. My kids are my top priority. I'm trying to be a good mom, but for every good thing I do I can easily find something at which I'm failing. I'm really good at that. I'm working on it. I'm too tired to keep writing. My brain can't stay focused. Wow! I love your new blog Marianne! Miss Kesha gave me the link to the blog today! The pictures are beautiful and your kids are growing up so quickly!!! Wow you are so creative, I love the new blog and your family pictures are beautiful. I will be calling you soon to go and play I thought of something fun we could do with the kids. Love ya!! Marianne - I really like your new blog and the photos are great!!! On your most recent post, you said "I'm not even sure how to put it into words". Well I heard a very country song yesterday afternoon that I think describes both of us perfectly - "The Lights are on but no one is at home". That is exactly how I feel most of the time; I was driving back from Tuscaloosa and actually laughed when I heard the lyrics. Everyone says hang in there and it will get better. I hope so for both of us so HANG IN THERE. 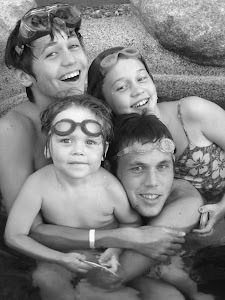 Hi Marianne - I really like your new blog - so creative and the photos of the kids are great!! Your most recent post on your blog said "I'm not even sure how to put it into words". Well yesterday I heard a very country song that I think describes our situation pretty good - "The lights are on but no one is at home". That is exactly how I feel most of the time. Hang in there - it is supposed to get better one day. The new blog looks so great! I love hearing about all you have to say- you are an amazing woman! My first entry to congratulate you on your very nice, new blog, didn't go through. I'm sure it was a problem on my part not your blog. So here it is again-- hope it works. It was great to talk to you yesterday. Ask Chase and Tessa to drop an email. Don't beat yourself up...you've got your priorities set right. The kids come first. I have the same issues of not enough sleep, not eating great, never seeming to get enough done and seeming to dwell on the negative. But...my kids know I love and support them, as do yours...that's what matters most. Hey Marianne gorgeous blog, once again I am moved to tears by you and your honest words. I love your testimony. Your such a fabulous woman, be nice to yourself. I've been thinking about you a lot lately.